The all new Civic Type R is the fastest front wheel drive Honda ever. It’s got a turbocharged 2.0L engine making 306 HP to the wheels. 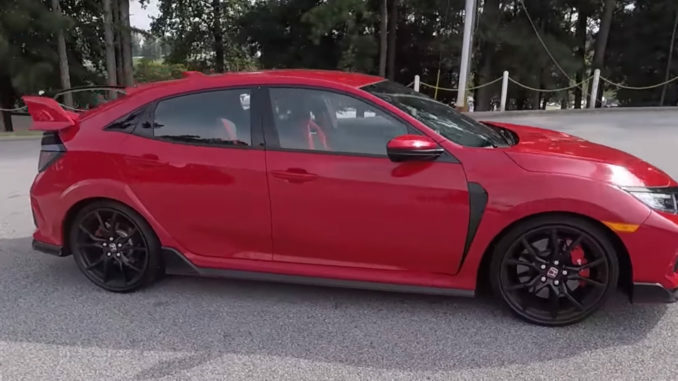 It has a track-spec suspension, six-speed manual transmission, aerodynamic improvements, bucket seats, and trim pieces to help the Type R stand out from more pedestrian Civics. Watch Matt Farah’s review and hear his take on the newest Civic. This One Take was shot at Road Atlanta circuit, at the #GRIDLIFE motorsports and music festival. You can see more One Takes like this one over on Matt’s Youtube channel TheSmokingTire. Gran Turismo Sport “Super Bundle” Costs $46,000?